For many people losing their hair can be a devastating experience. Fortunately treatments are available that can help to regrow and prevent further hair loss. The hair follicle is where the hair bulb is formed. Throughout your lifetime, each follicle grows and sheds single hairs in a repetitive cycle. It is very important to understand the hair growth cycle in order to recognize and understand many of the problems you can encounter with your hair. The hair growth cycle consists of three distinct stages – Anagen, Catagen and Telogen. Hair grows at approximately half an inch per month and slightly faster in summer than in winter. The growth phase, ( Anagen phase) lasts an average of 3-5 years, so a full-length hair averages between 18 to 30 inches. The Anagen phase is generally longer in Asian people and can last as long as 7 years with hair being able to grow to 1 metre in length. Finally, your hair enters the Telogen phase, a resting phase where the hair is released from the follicle and falls out. 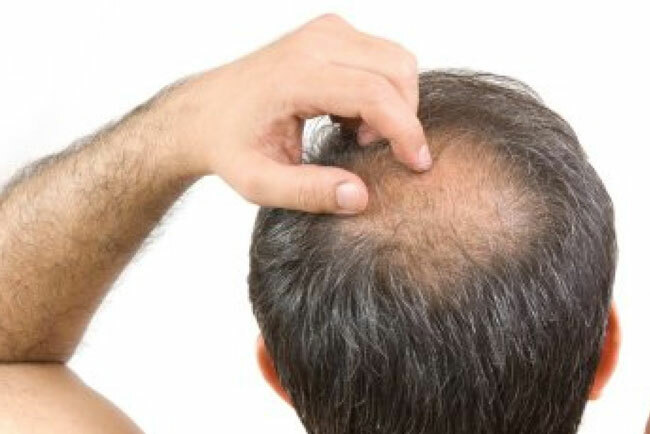 The follicle then remains inactive for approximately 3 months, then whole process is repeated. Each hair follicle is independent and goes through the growth cycle at different times , otherwise all your hair would fall out at the same time. It is normal to shed approximately 80 hairs per day from a healthy scalp. Hair loss, hair thinning and problems with hair growth occur when your hair growth cycle is disrupted. This can be triggered by conditions due to metabolic imbalance caused by pregnancy, shock, illness or poor diet etc. For example, as a result of a prolonged strict diet, shock or a high fever you can experience Telogen effluvium (severe hair loss). This occurs when the Anagen phase is cut short and many hairs enter the Telogen phase all at the same time. On a healthy scalp, approximately 80 to 90% of the hair follicles will produce hair growth at any one time. 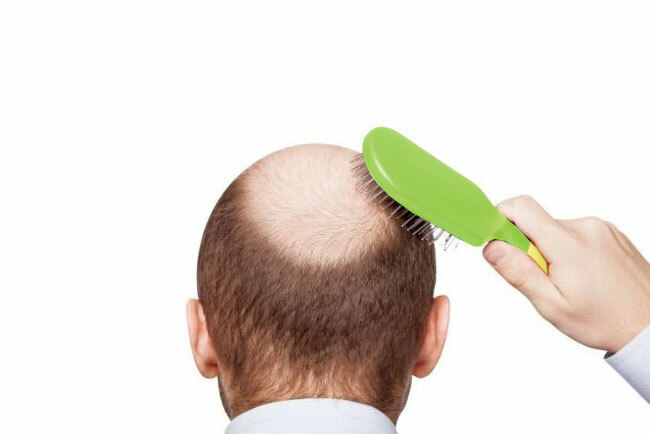 It is normal to lose approximately 80 hairs per day, anything in excess of this would indicate excessive hair loss which should be monitored and treated. In both men and women androgenetic alopecia,( hormones related to testosterone also known as androgens and/or dihydrotestosterone DHT) cause hair follicles to have a shorter than normal growth phase. This is due to the effects of DHT which slows the blood supply to the scalp thus depriving the hair follicles of their vital supply of nutrients carried by the blood. This results in hair follicles that are incapable of supporting normal healthy hair growth. Genetics play a vital role in the risk of androgenetic alopecia in both men and women, although other factors (some of which remain unknown) may also be important. As an example, abnormal levels of androgens DHT in the blood are the cause of androgenetic alopecia in both men and women. Men and women experience androgenetic alopecia with equal frequency, although it may be camouflaged better in women. 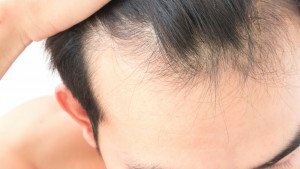 In men, androgenetic alopecia is characterized by gradual hair thinning that most often affects the crown and frontal areas of the scalp. In many men, the hairline around the temples receeds. As it moves back to the mid scalp, an M-shaped hair pattern develops. The hair in areas affected by hair loss may be of various lengths and thickness, and the presence of uneven lengths and texture is a classic sign of male pattern balding. 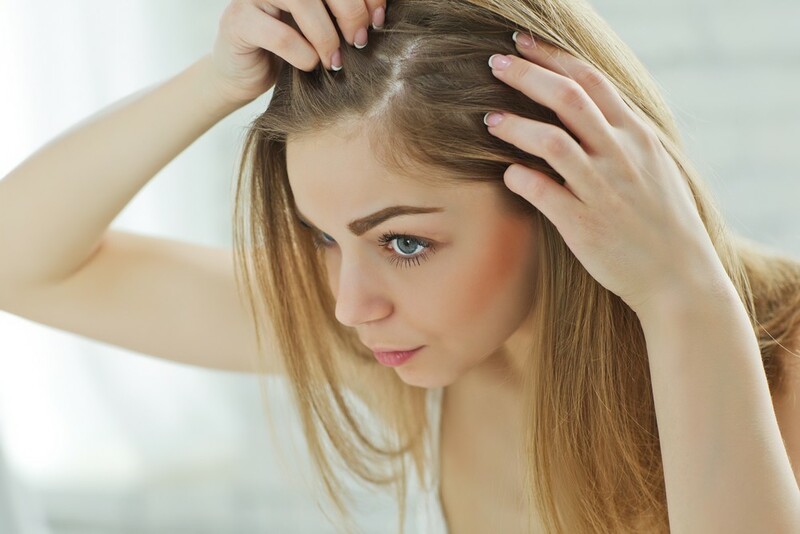 Women may have similar patterns of hair loss, although typically the hair loss is more diffuse,being generally more evenly spread out over the entire scalp. In men it follows a typical pattern,affecting the front and crown of the head. 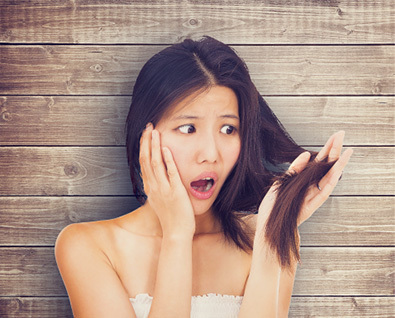 Unlike some men, women rarely experience loss of all their hair. Androgenetic alopecia can usually be diagnosed by examining the scalp. In some cases, you will need blood tests to look for other causes of hair loss, for example changes in hormone levels, low iron levels (anaemia), or thyroid problems etc. The psychological impact of hair loss can be very severe for some people, both male and female, since there is little understanding or acceptance of the condition. Both men and women may have difficulty with issues of low self-esteem or feeling unattractive. Regular shampooing prevents the build-up of harmful bacteria that can lead to irritation and scalp damage. All Julian Jay PROFOL shampoos are designed for daily use so you can be assured you will not be creating any problems. Used daily a bottle of PROFOL shampoo or lotion will on average last 6 – 8 weeks so is very economical. Prevention is so much easier than to re-grow lost hair which takes patience and persistence. However, all is not lost once the circulation to your scalp is being boosted and restored on a daily basis. By using our PROFOL Advanced Formula Hi-Potency shampoo and lotion spray, any hair follicles that are dormant and not dead will gradually re-awaken. Therefore the dormant hair follicles will begin to restore growth, but you should be aware that any dead hair follicles are just that, they are dead. Looking from the outside will not give you any insight into the quantity of follicles which are either dormant or indeed dead. It is a matter of starting treatment and being patient in the knowledge that they will not all be dead. Profol Advanced Formula Hi-Potency Shampoo can be used daily but should be used at least twice weekly to prevent the build-up of sebum plugs. After application the scalp often reddens and feels warm and tingly. This is normal whilst the blood supply is being boosted to the hair follicles and can last for up to 20 minutes. The shampoo can be used daily on its own as the only treatment, however for a more potent effect we recommend the use of the lotion spray at the opposite end of the day, therefore boosting the blood supply to the hair follicles for a second time. Within approximately three weeks the hair loss will have slowed to normal levels and the problem will not get any worse with continued use of the Profol Treatments. Many clients report new hair growth within 12 months whilst many take much longer, therefore a sensible patient approach to treatment is advised. The Lotion Spray should be applied daily, morning and night between shampoos. It is not sticky so does not need to be rinsed out. After application the scalp often reddens and feels warm and tingly. This is normal whilst the blood supply is being boosted to the hair follicles and can last for up to 20 minutes. Within approximately three weeks your hair loss will have slowed to normal levels and the problem will not get any worse with continued use of the Profol Treatments. Many clients report new hair growth within 12 months whilst many take much longer, therefore a sensible patient approach to treatment is advised. Shampoo daily with Profol Scalp Clear Treatment Shampoo for the first week or so or until your scalp problem clears. Then every other day for around two weeks and if no problems occur, then go to every third day or twice weekly, which is the maximum you should leave it between shampoos. However, from my own personal experience the more often you shampoo with Profol Scalp Clear Treatment Shampoo, the better the results will be. Once the problem is under control it is advised that you continue to use Profol Scalp Clear Treatment Shampoo as your regular shampoo. With regard to the hair thinning problem I would recommend Profol Advanced Formula Hi-Potency Lotion spray which can be applied daily, morning and night. It is not sticky so does not need to be rinsed out. After application the scalp often reddens and feels warm and tingly. This is normal whilst the blood supply is being boosted to the hair follicles and can last for up to 20 minutes. Within approximately three weeks your hair loss will have slowed to normal levels and the problem will not get any worse with continued use of the spray. Many clients report new hair growth within 12 months whilst many take much longer, therefore a sensible patient approach to treatment is advised. Hair loss can cause great distress for both men and women. Isn’t it cruelly ironic that stress can cause hair loss, and hair loss can cause stress? 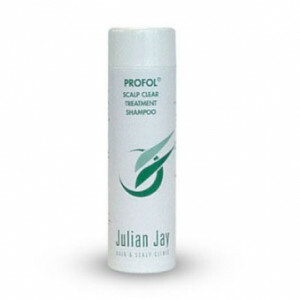 At Julian Jay Hair & Scalp Clinic, we sell a wide range of Profol products that can often prove invaluable for people suffering hair loss. Losing hair (or being unable to grow hair when it’s all gone) can prove to be greatly stressful, especially when it occurs at a fast rate. Thankfully, Profol Advanced Formula Hi-Potency Shampoo can quickly bring such situations down to a more manageable level. By stimulating the blood supply to the scalp, this shampoo will get your hair growth kick-started as soon as possible, stopping further damage and curtailing any further feelings of stress. When it comes to hair loss, maintaining a healthy scalp and hair growth is vital. With Profol Advanced Formula Hi-Potency Lotion Spray (best used daily after shampooing with Profol shampoo), you’ll be able to start reversing the effects of DHT (Dihydrotestosterone) and increase blood supply to your hair follicles immediately. Hair loss can have some nasty side effects on your scalp, including dandruff and itchiness that quickly becomes sore. Profol Scalp Clear Treatment Shampoo addresses these problems without damaging any new skin or removing oils that are essential to the scalp. One less problem to stress about! When addressing hair loss it’s important to not only focus on what’s missing, but also on what’s still there. Profol Pro-Active Conditioning Treatment helps to thicken thinning and fine hair, ensuring it keeps its body, shine and volume. It will also ensure any damaged hair get back lost moisture without ever feeling greasy. When suffering hair loss, it’s important to make the most of what you have! If your scalp itches and flakes you may require a dandruff shampoo, your doctor can tell if it’s just dandruff or a more serious problem like psoriasis, a disease that causes red, scaly patches on your skin. Once you have the right diagnosis, you can treat the cause and get some relief. Dandruff is a common skin problem. You may notice flakes that fall off your scalp and cling to your hair or land on dark clothing. Your scalp may itch, too. 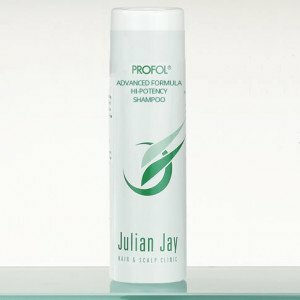 There are many dandruff shampoo treatments on the market and Julian Jay can help with the treatment of dandruff with our formulate dandruff shampoo. Scalp psoriasis on the other hand is a common skin complaint that often manifests itself as scaly red bumps and dry patches. It is not always confined to the scalp and can spread to the forehead, back of the neck and behind the ears. The cause of scalp psoriasis is unknown, but it is thought to result from a defect in the immune system which causes skin cells to too multiply too quickly and form thick patches. It is not contagious but may be hereditary. The severity of the complaint varies but in its worst form it can lead to thick, crusted sores that are intensely itchy. Continual itching can lead to infections, hair loss and bald patches. If you suffer from scalp psoriasis help is at hand. At Julian Jay we have effective scalp psoriasis treatments along with treatments for a wide range of scalp and hair problems. The Profol range of hair products are able to address the problems associated with scalp psoriasis. Unlike other scalp psoriasis treatment providers, we offer a free trial so you can experience the quality of our products without initial commitment. We are so confident that you will be convinced by the performance of Profol, that we can offer this great give away. Contact us for more details. 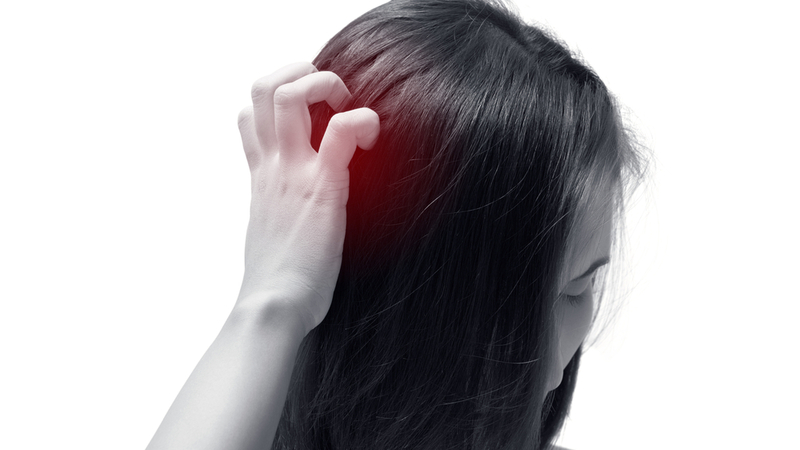 For many people throughout the UK, struggling with either a chronic or temporary itchy scalp it is a frustrating (and oftentimes embarrassing) reality. 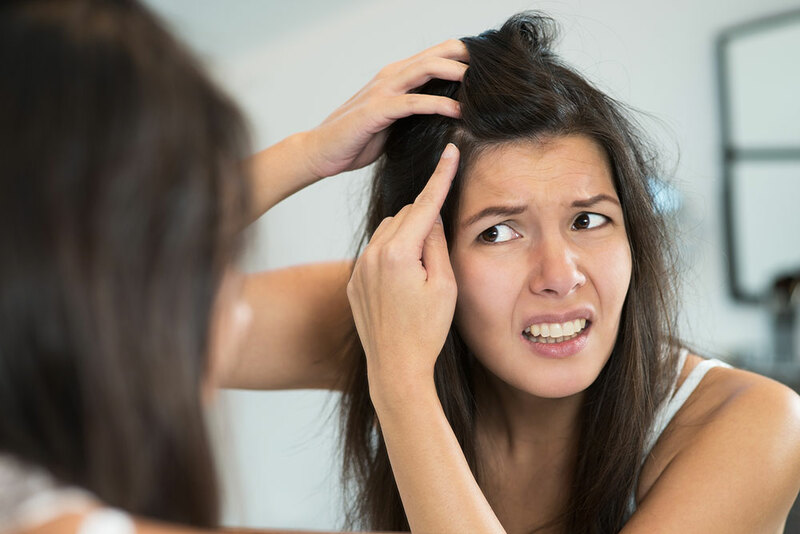 What’s more, due to the repeated trauma caused to the itchy scalp by rigorous scratching, hair loss can become a devastating side effect of scalp inflammation. 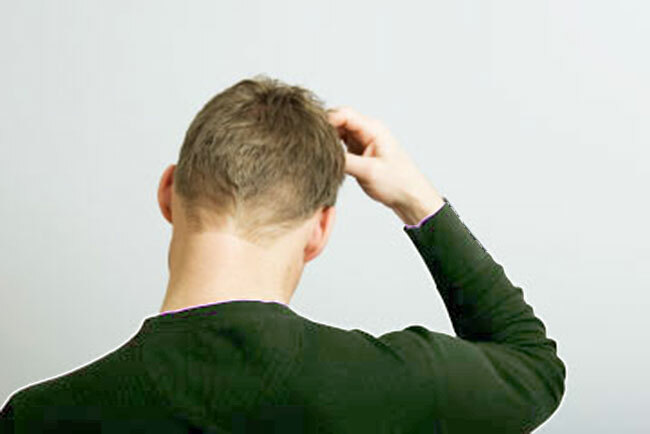 Here at Julian Jay, we’re asking: what exactly causes this irritation and, moreover, what can be done to stop an itchy scalp? If you’ve spent any time trawling the internet for an explanation to your itchy scalp, you’ll know there are multiple potential factors at play. For some, the autoimmune disease, psoriasis, is the cause leaving scaly reddish patches on various areas of the skin or scalp. The exact trigger for this condition itself, however, remains unclear to dermatologists. Unsurprisingly, though, it is often linked to times of extreme stress. Of course, for those who’ve been experimenting lately with hair colourants or dabbling in a new shampoo, that sudden bout of itchy scalp may in fact be contact dermatitis. The result of an allergic reaction, this form of eczema can be caused by various irritants, from chemicals and tobacco smoke to acidic foods and even the wool in your favourite winter hat (apologies, you may just have to ditch that cherished knitwear). In order to combat an itchy scalp, we believe a sensitive and careful approach is needed. For that reason, we’ve developed our Scalp Clear Treatment Shampoo. With a formulation that preserves both essential oils and the development of delicate new skin, this scalp irritation treatment is cautious not to strip your scalp of its best assets. Efficiently and effectively relieving inflammation otherwise responsible for flaky skin, using this miracle worker daily will rapidly stabilise your condition. Do away with head-scratching thanks to our soothing, healing Profol formula treatments. Browse our full collection at www.julianjay.com or call our helpful sales team today on 0800 191 0477. “Hair thinning is something that all of us dread. We wake up one day and see more loose hair on our pillows than usual. It’s no big deal, might just be a random occurrence that never happens again. But, every day after that you start to see more and more loose hair on your pillow. When you wash and brush your hair, you notice that it falls out easier. Slowly but surely you become drowned in a sense of dread. Your worst nightmares are coming to pass; Hair thinning is happening. It can be a very stressful time, and I’d know, I’ve been through it. I still remember the moment it dawned on me that I was suffering from Hair thinning. I always read about it, or saw others with this problem, but never thought it would happen to me. However, it did, and it can be a real kick in the teeth. When I realised I was losing my hair, I did what everyone does in this situation; I researched. Hours were spent pouring over websites and articles, trying to find out the reason my hair kept falling out. What I found was that hair thinning is extremely common in both men and women. Which surprised me as I thought it was only men that experienced this issue. I also discovered that most hair thinning problems were attributed to a disruption in the hair growth cycle. You see, when our hair grows, it goes through three different phases. If something disrupts these, that’s where issues will occur. There are many things that can cause a metabolic imbalance that leads to hair thinning, such as illness, shock, and an awful diet. And, there are ways to tell if you are experiencing hair thinning, you just need to look for the telltale signs. In women, you’ll usually notice your hair starts thinning all over. If you used to have deliciously thick hair, you’d notice if it starts to get thin. This is a warning sign that you’re going through hair loss. After I had conducted my research on the causes of hair thinning, I decided to take action. I searched around and found that the key was to try and cleanse your scalp, to help stimulate hair growth again. I found that the best tool for the job was a shampoo called Profol. It helped to relieve my scalp from all the irritation and keep it nice and clean. Soon, I found less hair falling out, and my hair follicles even felt a little bit thicker and stronger. Also, I started cleaning up my diet and trying to relieve myself from stress. Visit our hair loss advice page for more information or for a consultation about hair loss treatments for women contact us here.